See the widely acclaimed War Horse is playing at the Fox Theatre on Wednesday night at 8p. It's a truly remarkable site. A full scale puppet of Joey, a World War I war horse. Joey transcends his machined gear and leather strap construction and comes to life, and shows us the majesty and frailty of World War I struggle. The Handspring Puppet Company directors presented the art of the puppetry at TED 2011. Check out this video. It's just fascinating. "WAR HORSE travels from the verdant English countryside to the fields of France and Germany at the outbreak of World War I. A boy's beloved horse has been sold to the cavalry and shipped to France. Caught up in enemy fire, the horse serves on both sides of the war, and survives an odyssey that leaves him alone in no-man's land. The boy, now a young man, cannot forget his horse, and embarks on a treacherous mission to find him and bring him home. 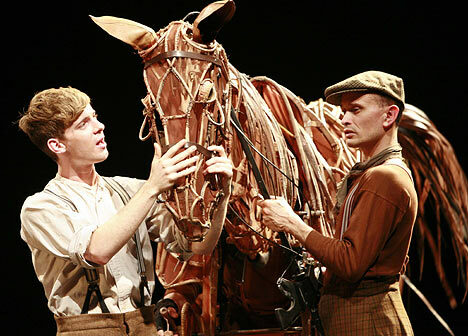 WAR HORSE is a magnificent drama, filled with stirring music and beautiful songs. But it is more than just a compelling tale. This is a show of indescribable grandeur and sheer inventiveness -- perhaps the most magical production ever staged for the Beaumont. There are breathing, galloping, charging horses on the stage - their flanks, hides and sinews built of steel, leather and aircraft cables. They are life-size puppets strong enough for men to ride. And that's just one element of this imaginative epic. Special Tony Award to Handspring Puppet Company." The bottom line is that if you only go to one play in Atlanta this year, this is the one. The show is on from the 25th to the 30th. Tickets are available at Vivid Seats. At the time of writing, we saw six Orchestra, row DD seats for $112 each. Those are great seats! Tickets range from about $70 to $150. 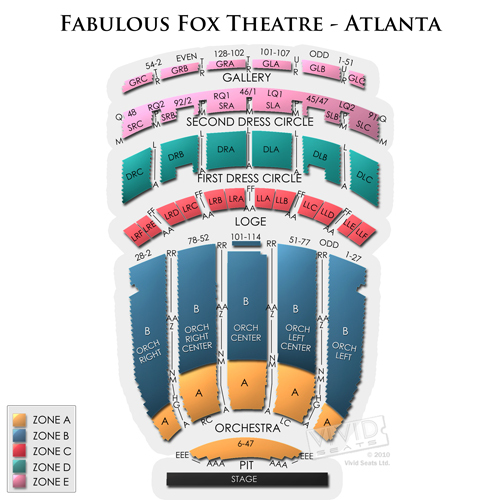 Good seats in Orchestra Row DD are about $112 on Vivid Seats. First: Have breakfast at home today. How about pancakes? 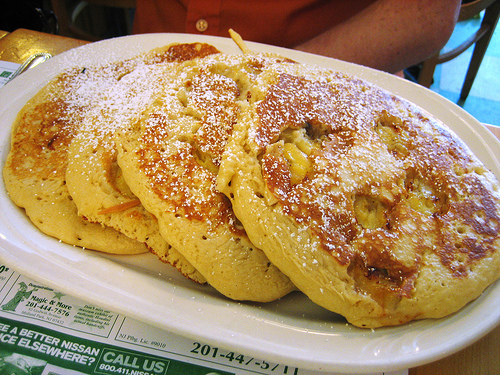 How about banana pancakes? How about banana pancakes with Amaretto? Oh yeah! Here's a great recipe from JustBestRecipes - one of my favorite new sites. Great way to start the day. ($15). Banana Amaretto Pancakes for Breakfast. Second: Do a little reading. What event started World War I? I didn't remember either until I started reading Fall of Giants by Ken Follett last week on a trip to Alaska. Follett tells the story of WWI by way of a cast of characters from English aristocracy to Welsh coal miners to German spies to Russian peasants. It's perfect preparation for War Horse. You can get a copy for $9.99 on iTunes. 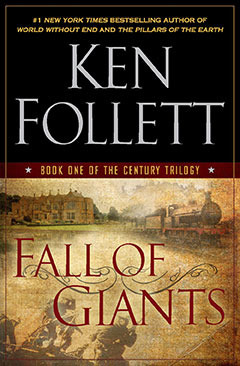 Catch up on your WWI history with Ken Follett's Fall of Giants. Third: Lunch at Bistro Niko. It's a great place for a leisurely French lunch. On the ground floor of the super fancy Sovereign building, Bistro Niko won't disappoint. The service there is phenomenal. White apron waiters cheerfully lead you through the lunching extravaganza and put you at ease. Sit at one of the tables outside. Try the smoked salmon with creme fraiche and chive tarte, or the steak tartare, or even the escargot if you're in the mood. Share a bottle of pinot noir with your companion and take in the Atlanta afternoon. ($ - $30 per person). Bistro Niko for lunch. 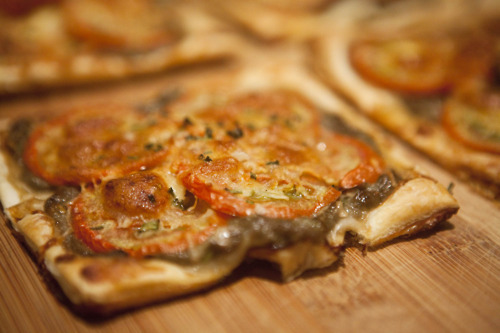 A chive tarte is always a good choice. Fourth: Nap. It's always best to have a lot of energy for a broadway show. Recharge. 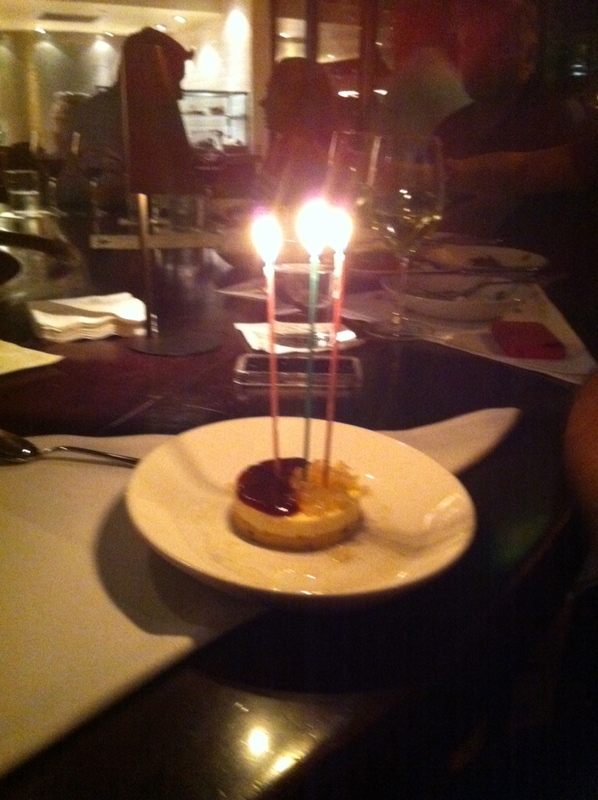 Chevre Cheesecake at Ecco - a very good birthday cake indeed. Finally: War Horse. The show is at 8, so get there at 7:30. Take your seats and marvel. $112 per person plus about $12 for parking. Park in a lot on 3rd street, about a block from the theatre. War Horse: $224 plus $12-16 for parking. Todays full day plan takes about 26 mi. of driving, if your home base is midtown Atlanta. That equates to about 20 pounds of carbon dioxide, or the carbon sequestered by about 4 sq feet of forest. Calculations are based on the U.S. EPA's green house gas equivalencies calculator. 4 square feet of forest would be required to sequester this carbon.